Expandiverse Tech adds a leap-ahead fast finish: Move everyone to the top of the pyramid by making everyone knowing and powerful, with the world’s best abilities and resources. Stop thinking about our limits and start wondering how much we can do. This dilemma is also an opportunity to build a more powerful world than has ever existed before. As we leave behind the industrial era, our coming digital world must become far more capable and successful than we expect. Our forced transformation is to become our best, to fulfill all our potentials: As individuals, groups, societies and as a planet. With the first ideas in 2007, I spent years in private development of a far more powerful future. 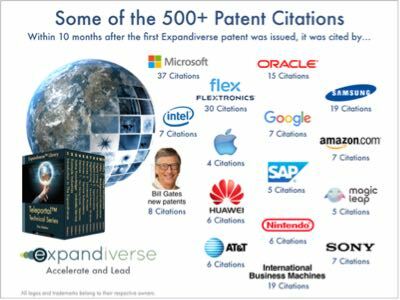 The Expandiverse is new technology and IP (Intellectual Property) to build tomorrow’s digital world today. This digital transformation comes from looking ahead and seeing that the Earth will inevitably be built into a digital planet. 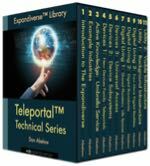 The Expandiverse leaps ahead, specifies that future world’s technology and shows how to accelerate it into the present. We can already feel it coming. We’ll all be using 1 or 2 screens at once, and have screens around us all the time. It’s just a question of when and how we’ll build it, learn to benefit from it and take advantage of it. 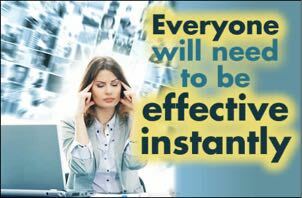 With acceleration, the Earth can become one digital room with everyone in it sooner than we expect. 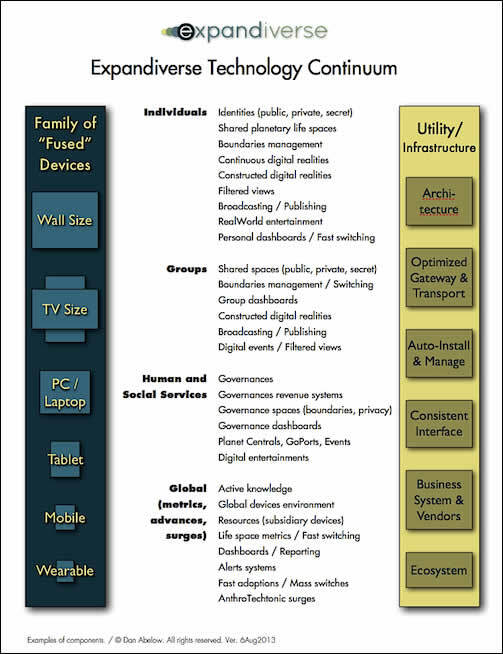 A family of “fused devices” is its left column. These replace today’s siloed devices with a family of continuous devices that are you-centered. They’re like an automatic door that follows you and opens and closes as you switch from screen to screen. 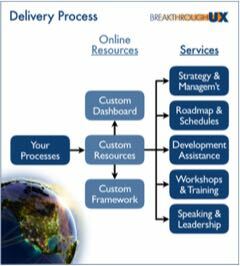 Your digital services, communications, resources, etc. are always on and instantly usable as you switch from screen to screen throughout the day. Your devices support you, move you to the top of the pyramid, and make you knowing and powerful with the full digital world’s resources and capabilities at your fingertips. A back-end infrastructure is its right column. Everyone in the world gains the world’s best abilities whether they are in Silicon Valley, Singapore or a small town anywhere in the Americas, Asia or Africa. This delivers the ability to succeed by making the world’s most powerful abilities local to you, continuously serving you, on all your screens. 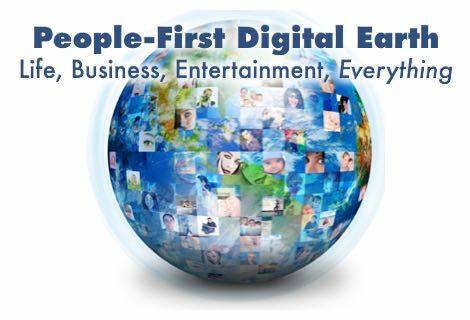 “You-centered” digital lifestyles with continuous connections to your people, services, places, tools and resources, entertainment and more. You’ll have multiple Shared Life Spaces for the different parts of your life (like family, work and friends). There are also boundaries like privacy (which includes public, private and secret). 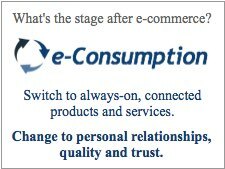 There’s services like Active Knowledge that increase success during tasks and could replace a lot of searching, while embedding e-commerce could replace a lot of online retail. 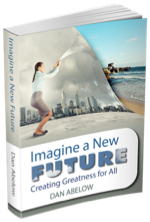 Share the post "New levers to move the world"